I like Diwali, but I don't like the pointless consumption that frequently goes along with it. And while I'm on the subject, let me say this: I'm also sick to death of all the talk of 'gifting' we see in the papers these days. I HATE that word--wasn't 'giving' just fine? 'Gifting' sounds like it has a thick layer of artificial sweetener spread all over it. In all seriousness, how many boxes of sweets or plastic-wrapped packages of junk food can one family really eat? I've got nothing against sweets--in fact I love them far too much for my own good. But at the point I feel a heart attack coming on, I usually take one of my kids for a walk and go find a labourer who's not looking for charity, but who looks like he could use a few extra calories. I make it clear he's doing me a favour and not the other way around. And it's almost always appreciated. Listen, I know there are people who expect sweets, just like there are people who expect money. There is nothing wrong with this kind of giving. Sweets are not bad for people or the earth as long as they are eaten in moderation. And many low wage workers depend on the Diwali bonus just to make ends meet, though I suspect they would prefer a living wage every month. But there are plenty of people on your Diwali gift list who do not need--or want--want sweets or junk food. So for those people, here are a few environmentally friendly gift ideas. Yes, some of these are...unconventional. But we need to be unconventional if we want to change the rules of the game. Why not start this Diwali? 1. 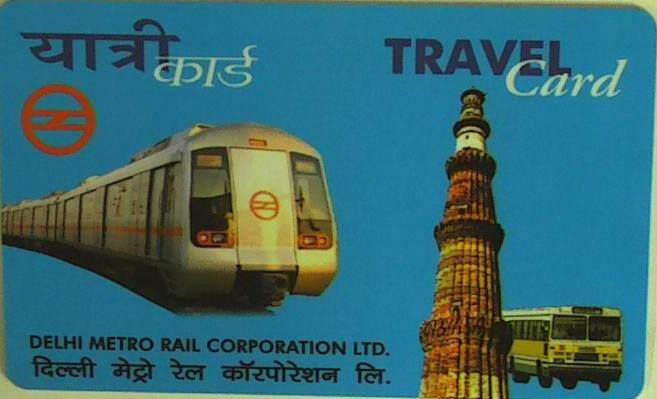 Delhi Metro Smart Card. The metro is growing, and a lot of people are suddenly finding there is a metro station not far from where they live. A Smart Card means you don't have to wait in lines to buy metro tokens. Do not give this gift to make a politically correct point. Give it to someone who will appreciate it. That could mean someone who's always meant to try the metro but never gets around to it. Or it could mean someone who usually takes the bus to save money, but who would appreciate the relative speed and comfort of the metro. For people like that, a Smart Card would be real Diwali treat. And now that they have a reserved coach, women don't have to worry about some of the 'hands on' treatment they often got previously when traveling on crowded trains. You can get your metro Smart Card at any metro station, fixed price. They'll take a Rs. 50 deposit, which is refundable. Then you add however much cash you want to add. Rs. 200 will pay the deposit and buy 8-12 trips. 2. Make a donation. Give to a good cause and tell someone you did so instead of giving them another box of sweets. Simple. 3. Books. Books don't go bad like sweets do, and they won't clog your arteries. Why not give books this Diwali? For those poetry lovers on your list, you can find Anindita Sengupta's City of Water at Sahitya Akademi for very little money. Those who like politics, travel writing or personal narratives will love Annie Zaidi's Known Turf. You can also check out the green books reviewed at the Dhaba. For a really nice gift, nothing beats a gift certificate from a good book store. That way your book loving friend gets to choose a book s/he'll love! 4. Small Steps carry bag. Mrs. Batti got one of these last year, and she uses it all the time. It is big and sturdy enough to hold a big load of marketing and it folds up into a tiny little pouch, so she can carry it wherever she goes--just in case! 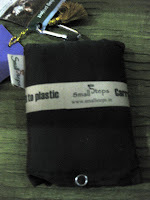 This year she found them at several stores, including a place called Manan in Khan Market below Market Cafe. 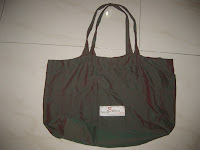 These sacks will reduce your plastic bag use, but they are also just convenient. 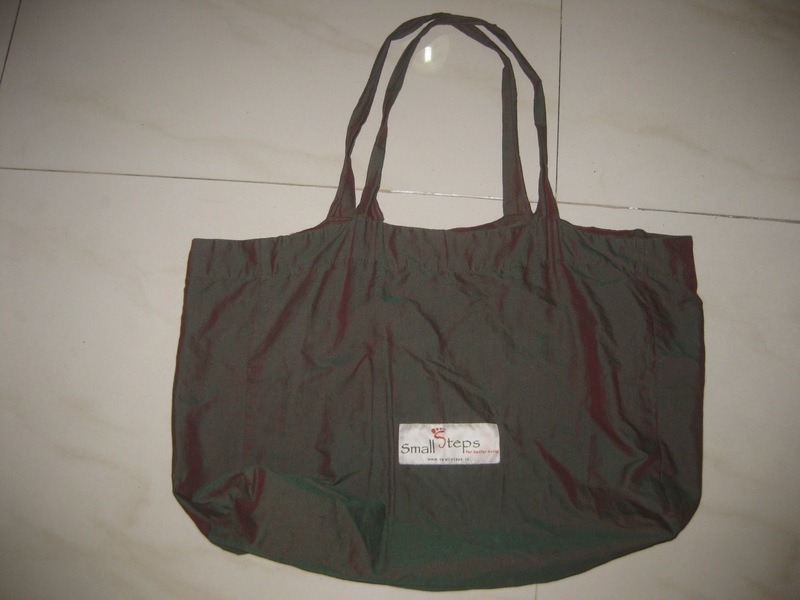 You can read more about the bag and the NGO that makes them here. 5. Fruit and Nuts. Healthy and good. Simple. If you've got a great green Diwali gift idea, why not share it in the comments section below? And go easy on the Atom Bombs--all that smoke is killing me! Potted plants in festive/self-painted earthen pots? A very Happy Diwali to the Dhaba & Hari Batti. Thanks for publishing the whole consolidation. The experiences of village immersion have been consolidated will share with you. @Anon and Arvind--good ideas; thanks for stopping by. @Kabir--thanks; have enjoyed your contributions. @Hari - no problems, feel free to shoot me an email should you have any questions. also please spread the word as its a cause that can go miles if more people participate in it. I like all gift ideas but i find fruits and nuts are much better among those.....Thanks for this awesome post!! 2G Spectrum Scam: how much is Rs 1.76 lakh crore?